Last year in an attempt to capture as many pre-blog memories as I could I started to write these looking back posts, to write some actual memories down and share photos that were taken in the spur of the moment just to take them. You see I was a memory maker long before blogging – albeit lacking some photography skills here and there! Anyway I am not sure what happened but a few months ago I just stopped writing them. So in my goal to think less and write more I have decided to start again and plan to post them every other week (or every week if I am feeling super organised – this will probably never happen!) 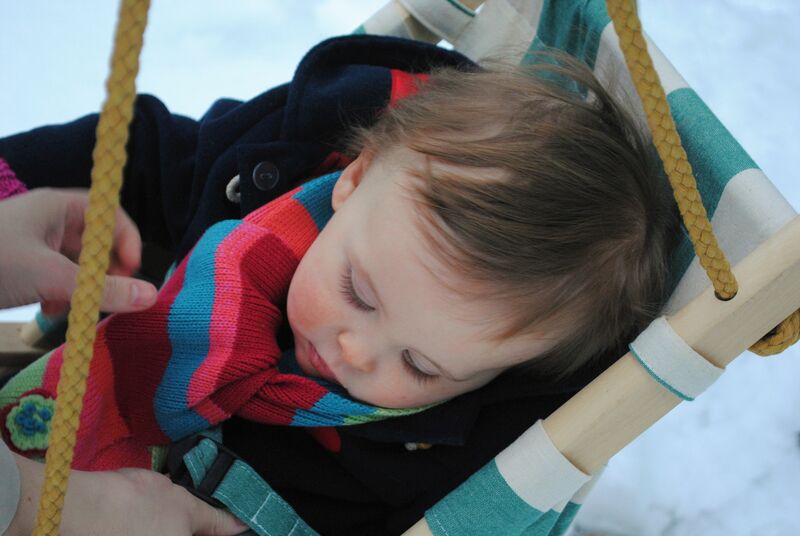 The last one I wrote was about Eva turning 1 and touch wood by the end of the year we will be back to the start of my blog which is Roma turning 1 too, the full circle. So back to this post. 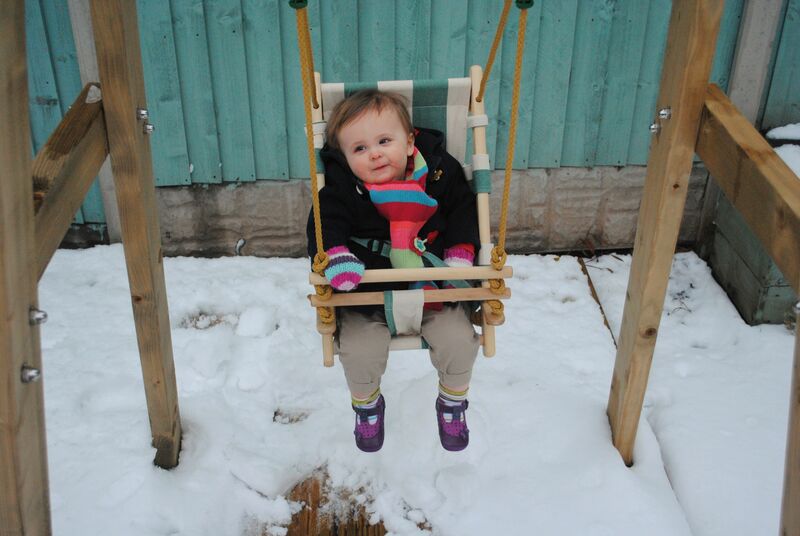 In February 2012 when Eva was just 13 months old we awoke to a big dose of the white stuff. Not just a dusting that we have seen before but enough to actually play in and build a snowman. We could show Eva her first snow which somehow feels so very exciting. We used excited voices, watched out of the window to show her the world covered in white and how it makes every single thing look beautiful and picturesque. How the world seems to stop just for the moment and that even though it is a bit of a pain and our little country doesn’t deal with this rare occurrence very well in terms of carrying on with normal life, it also gives us something really valuable. The chance, the excuse, to stop and enjoy it while it lasts. A huge sense of community. Except Eva was not that excited at all and it had never really occurred to us until this very second to properly talk to her about snow, yet we wrapped her up and took her out like she was supposed to know what the heck was going on with this cold stuff! She of course refused to wear at hat, we didn’t have any wellies for her tiny not yet properly walking feet and we couldn’t shake the bemused look off of her face. 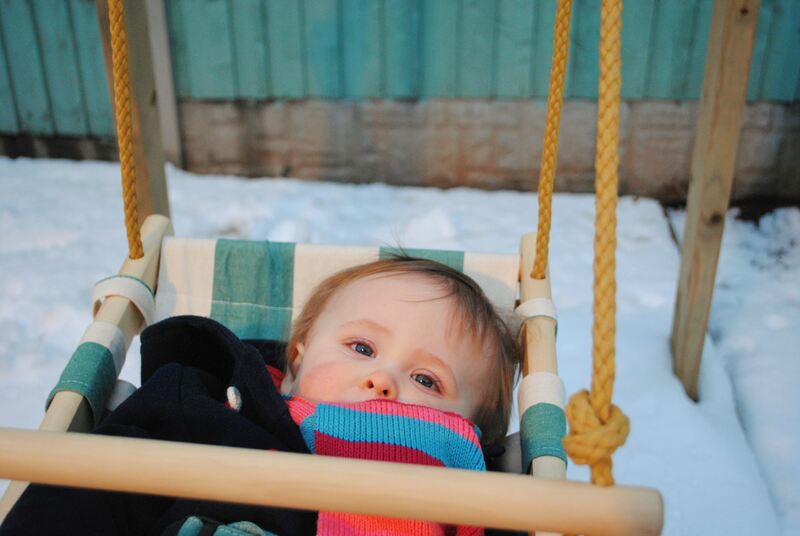 She wasn’t all that amused but was happy to sit in her comfy swing and watch as Eddy and I built a snowman whilst taking it in turns to push the swing and prevent her from getting cold! It wasn’t masses of snow but enough for some fun. As she observed and saw that perhaps snow was ok after all, she came to join us, got those little gloved hands in on the action and helped pick up some of the snow to add to our frankly impressive snowman…complete with random household items for accessories. Snowmen have candles for eyes right!? I remember her little feet as the snow crunched underneath them and she would look at me and laugh, flash me a wry smile that could quickly and easily morph into a sob with the wrong expression. It was then that really made me realise how new everything was. How a simple little thing like snow for the first time had her question everything and how I was the one she turned to for reassurance. That it was my responsibility to nurture these moments for the beauty and innocence they held and for the importance for the future. And that most importantly of all I was the person to share in that first moment with her. You were right though Eva, snow is a bit weird, especially the first time, but little did we know that 6 years later and you would dive right into it like it was the most natural thing in the world. We all have a long way to go in life baby, but we all have to start somewhere too. Please excuse our fence of shame, we obviously have form in half doing jobs before winter hits and not finishing it in time *goes to make sure current fence paint is at the ready for spring! 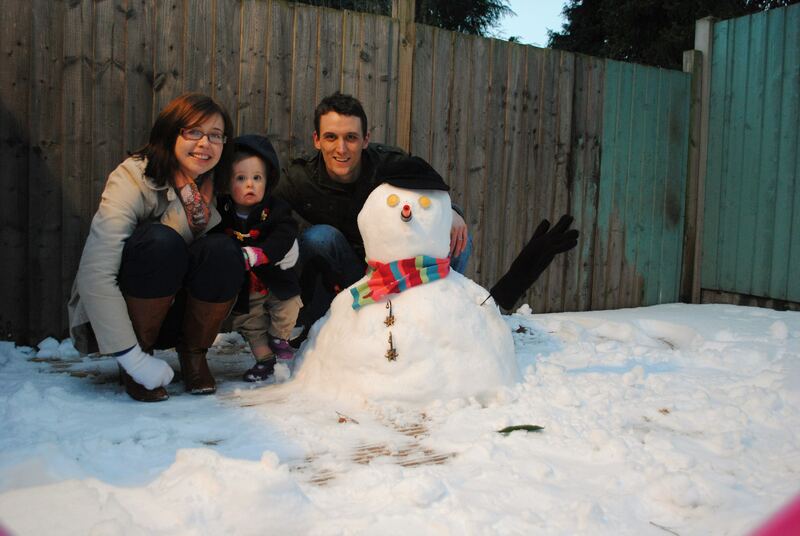 Also Eddy pointed out that we quite possibly took the scarf off of our small child to use on the snowman. I don’t actually recall that part but I would like to think she wanted him to have it – as I clearly did with my hat, and Eddy with his gloves. We’re kind souls you see! Previous Post Merlin Annual Pass – Is It Worth It?